Callisto are on a mission. Since their compelling debut, this heavy, melodious Finnish band have been oozing creativity, and this release is surprisingly different, and not surprisingly, very good. "True Nature Unfolds", served as an excellent name for Callisto's debut album, as the songs this group create tend to roll leisurely, almost subconsciously, into each new movement. Make no mistake, this is a very heavy band, yet the song structure and instrumentation is very melodious and slow-burning, allowing ample time for the listener to get sentimental, before being pummeled by a wall of epic, distorted chords. This feeling is what Callisto puts into each release, A very natural, ebb and flow of emotion, captured in the pretense of hard rock, jazz, doom, and ambient, and just good old jammin. Callisto's sophomore album, "Noir" was a sprawling record that left little unsaid in terms of textures and soudscapes, and "Providence", the bands latest effort, does much of the same and more, with the luxurious addition of clean vocals. Post-metal with mostly clean vocals is a slowly growing idea; the potential problem is neutering the music so much that it becomes a mess of nothing, and Providence is mired in generic, meaningless chords, song structures with no direction, poorly orchestrated transitions into the rare and ineffective heavy sections, and a vocalist who just isn't well-suited for this type of music. 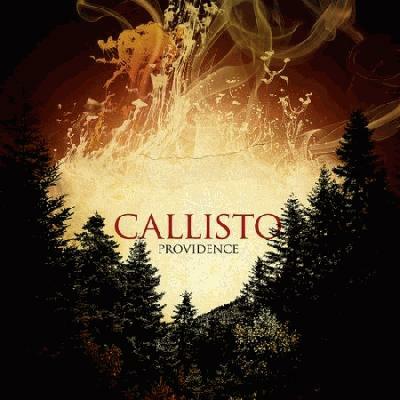 The title track avoids these problems by building towards a dramatic finish with Callisto's signature cryptic, poetic spiritual lyrics, but perhaps this piece is the only selling point of the album. I look forward to hearing another band try an album like this, but they'll have to succeed where Callisto fail at creating captivating musical journeys.